Heat pork chops in crock pot with sauce of choice. I used sesame ginger sauce i bought when sauces were on BOGO. I set it on low for 1 1/2 hours. 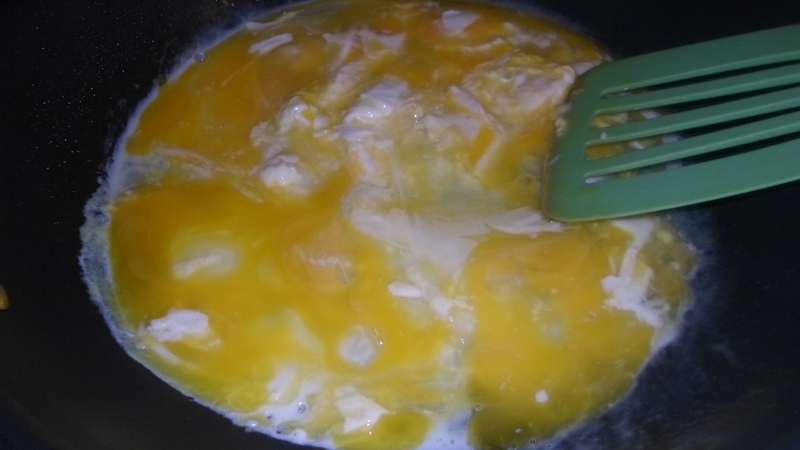 Cook eggs, breaking yolks until firm. 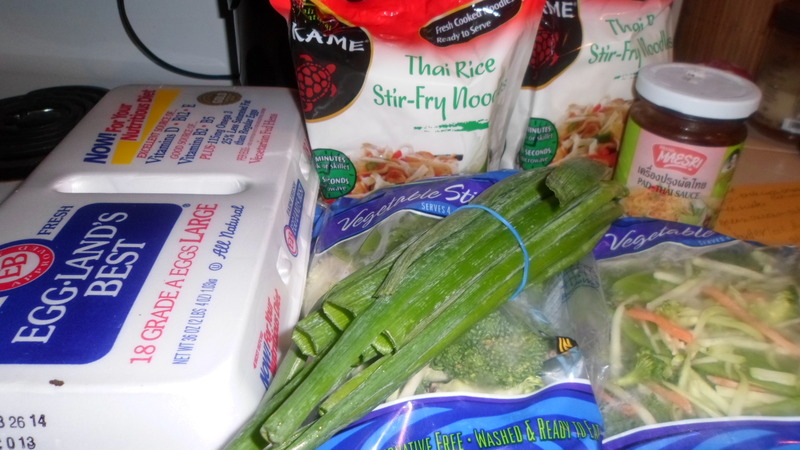 Cook vegetables in the microwave in the bag. Set aside to add in later. 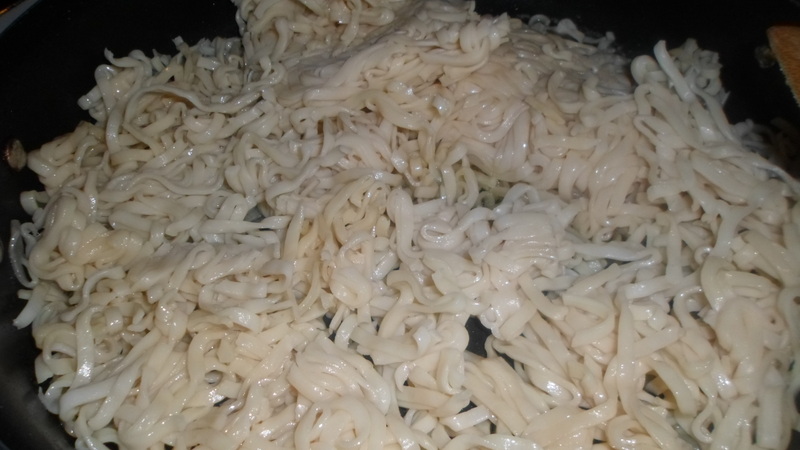 Melt margarine in large skillet or wok. Add in oil. 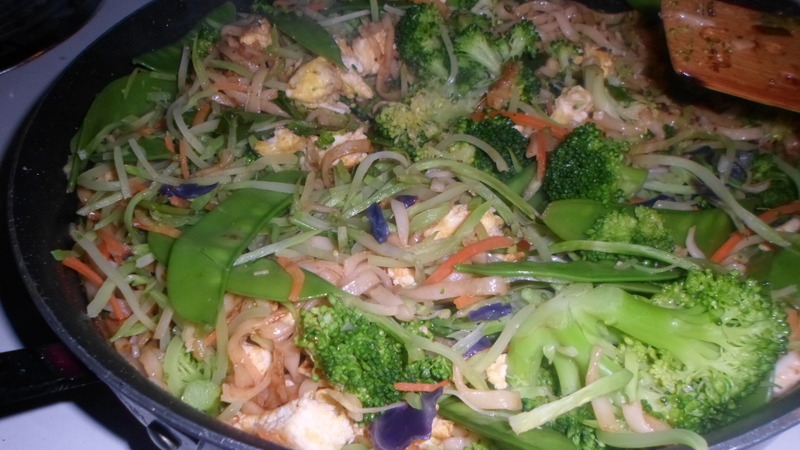 Stir fry pad thai noodles about 4 minutes, breaking apart with wooden spatula. 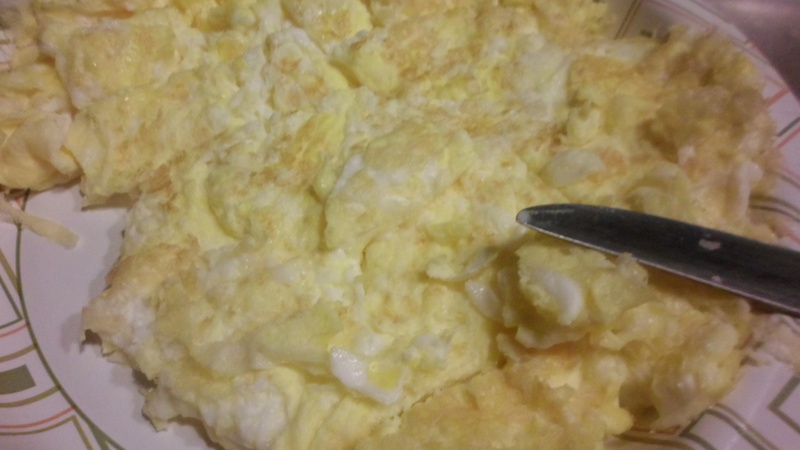 Meanwhile cut up eggs into inch square pieces and cut green onions in one inch lengths. 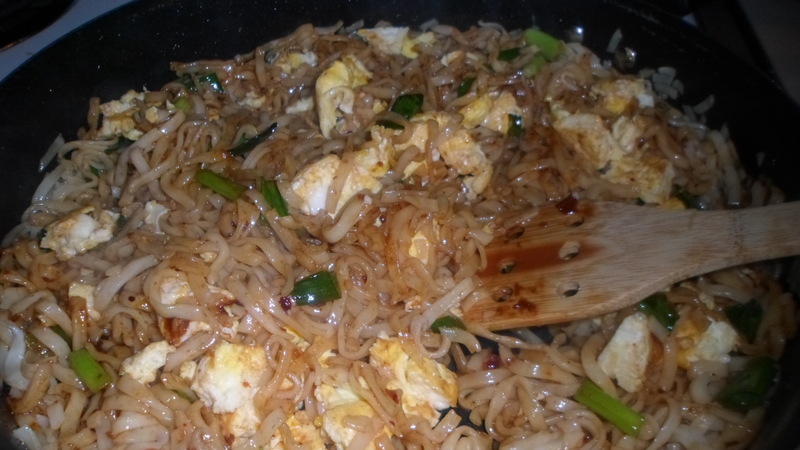 When noodles are soft and beginning to get golden, make well in center and add in green onions and pad thai sauce. 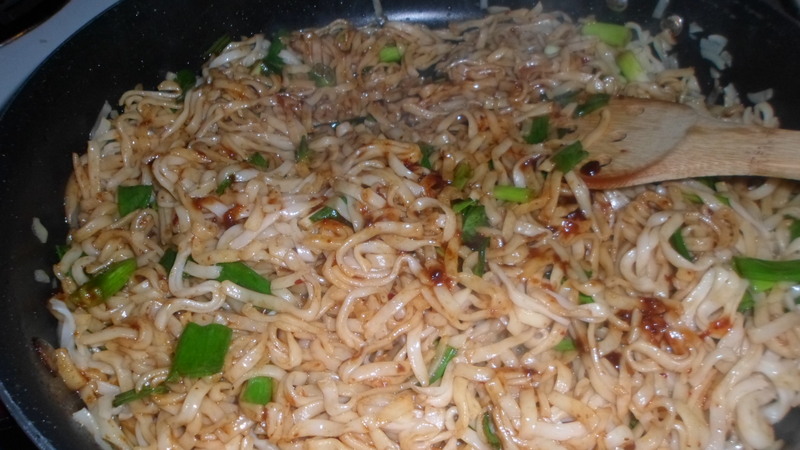 Bring noodles up over sauce and green onions, keeping them on the bottom as much as possible. Cook for about 2 minutes. Squeeze juice of one lime over and sprinkle with sugar. Add veggies. Heat for about a minute. Serve and enjoy! 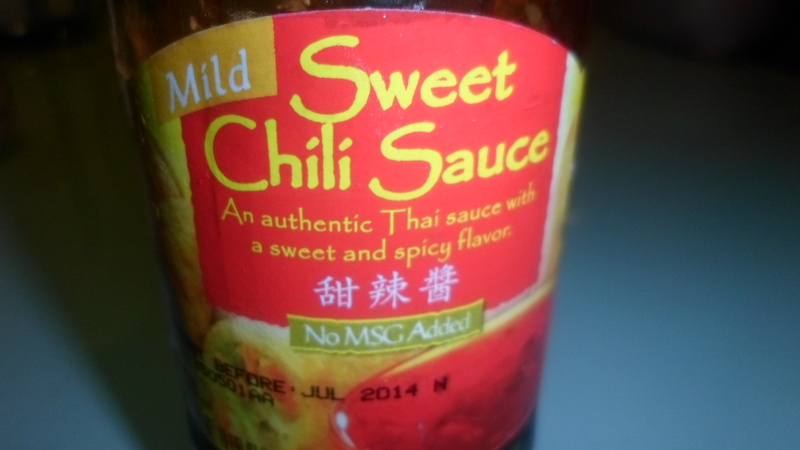 THe kids who like it hot added Sweet Chili Sauce! 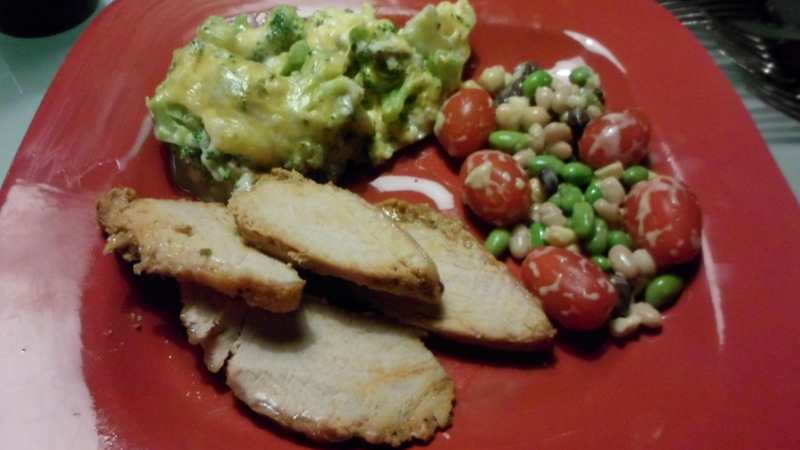 Combine all ingredients except pork chops in a blender until smooth. 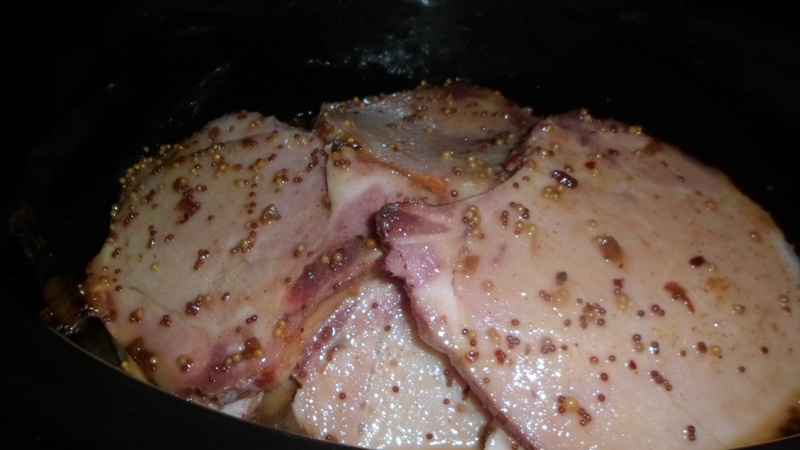 Layer pork chops and marinade until large oval crock pot. Cook for approx 1 hour to heat through the house. I put this on high for 1 hour and than low for 1 hour. I served it with gluten free macaroni and cheese. 2 Tbsp. chipolte peppers in adobo sauce, chopped. Combine sauce ingredients. Heat smoked shops through in sauce, turning regularly. 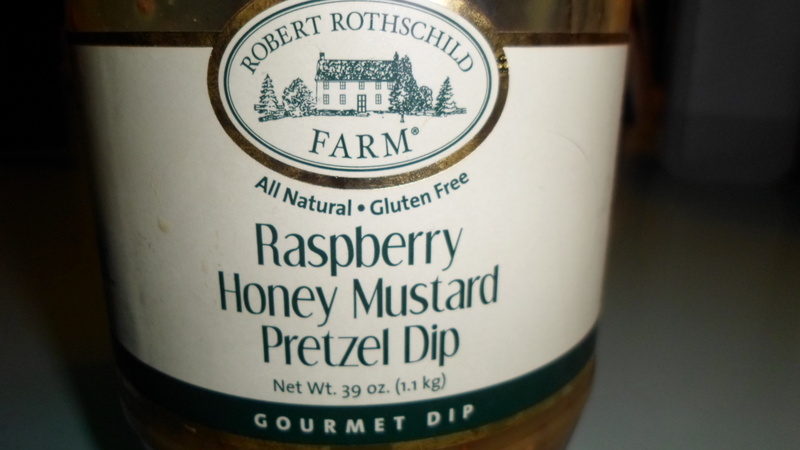 We had green beans and corn on the cob with these. The sauce was sooooo yummy. Mix barbecue, maple and mustard. Pour over tenderloin. Bake uncovered 325 F for 70 minutes. Check internal temperature and when meat reaches 160 F, broil for a few minutes to crisp up the bacon. Tonight, there were only three of us home for dinner, and enough leftovers from last night, so I got out of cooking for once! If you want to do something a little more fancy, you can cut the tenderloin to make a pocket and stuff with veggies. I’ve done it with mushrooms and onions before and it was yummy. Rub ribs with mixture of seasonings and place on baking sheets sprayed with olive oil. Bake 375 F until internal temperature is 160 degrees. Sprinkle with shredded cheese and continue baking until cheese melts.